Engineering has reached a level that is absolutely remarkable, and some of the biggest proofs adorn the face of the earth in the form of exceptional buildings, monuments, architectures, etc. Man has been able to transcend height and distance to a great level. 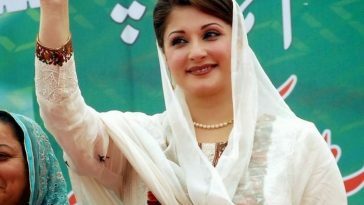 One of the major means of reaching the top of tall buildings or even landforms, are the elevators. Let us take a look at some of the most remarkable and tall elevators in the world. 10 Remarkable and Tall Elevators in The World. Santa Justa, Portugal’s national monument, in Lisbon, has the neo-Gothic municipal elevator of 148 feet. It was powered by steam upon its construction which was more than a century ago, but now it is run by electricity. However, the elevator has still its original birdcage-style cars with ornate wooden interiors, which brings it in the list of the most remarkable and tall elevators in the world. 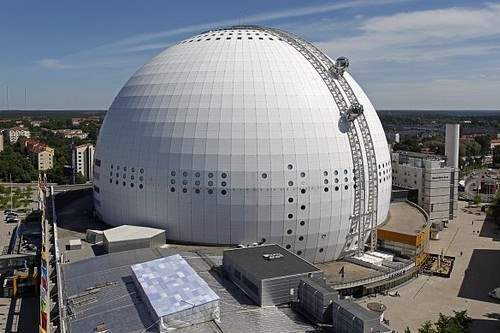 The Ericsson Globe, which is the largest hemispherical building in the world, is located in Stockholm, Sweden, and has a height of 279 feet with a diameter of 361 feet. The hemisphere has SkyView glass gondolas on the external side, which give the guests a 20 min trip along the curve right to the top. One of the most remarkable and tall elevators in the world, it gives the best view of skyline. See also; Top 10 Elevator Rides Around the World. 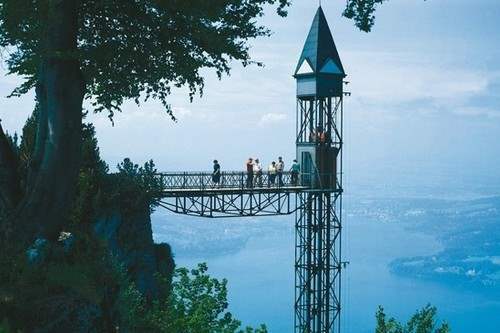 The Hammetschwand Lift in Bürgenstock, Switzerland is the highest exterior elevator in Europe, at about 499 feet. It is connected to a rock path that offers a spectacular view of the Bürgenstock plateau and the Swiss Alps, overlooking the gorgeous Lake Lucerne. 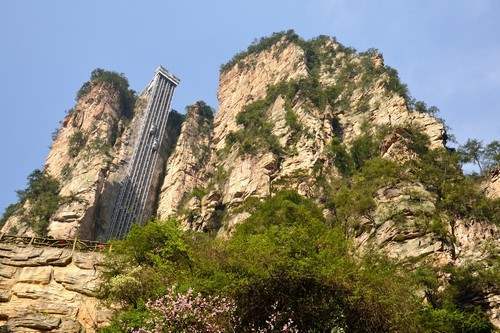 The elevator can take the passengers up the vertical rock face right to the summit, within a matter of less than a minute. See also; 10 of The World’s Most Stunning Aerial Lifts. 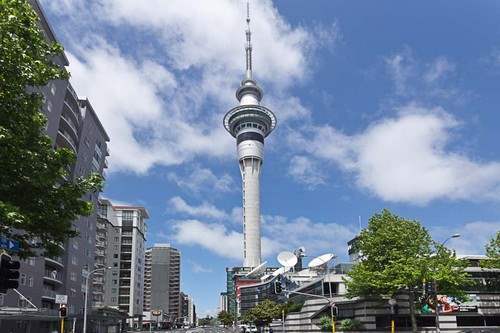 The Sky Tower in Auckland, New Zealand, is an observation tower known all over the world, which stands tall, 610 feet into the sky. The view from the top level of the tower is absolutely breathtakingly beautiful. To get that view, the guests need to travel to the top in one of the glass-fronted elevators with glass floors, for a heightened thrill. It takes 40 sec to travel to the top. See also; 10 Most Popular Ski Resorts. 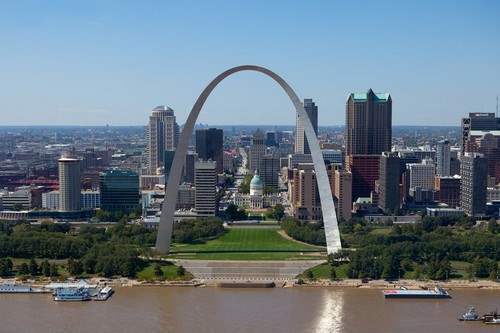 The Gateway Arch, located in St. Louis, Missouri, in the United States, is the tallest arch in the world, with a height of 630 feet. The stainless steel clad monument has a tram disembarking from each leg of the monument. Each train has eight egg-shaped cars with 5 seats, and takes 4 min to travel to the top of the Gateway Arch. At an interval of every 10 min, a tram starts to take the guests on a trip. 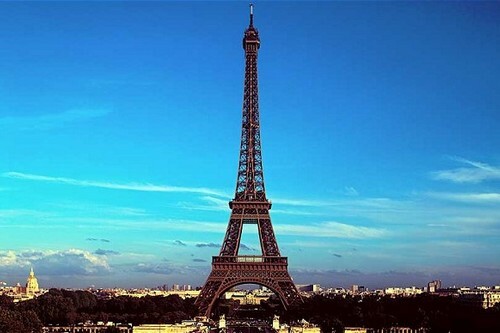 Eiffel Tower is the visual lynchpin of Paris, France, and is at 1050 feet tall, it is one of the most remarkably tall structures in the world, at the top of which, one can get a panoramic view of Paris. 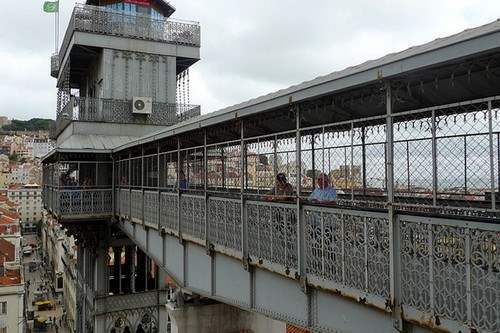 To get there, one needs to first take a lift from the ground, which runs up the tower legs diagonally to the first floor, from where there is another regular elevators waiting to run to the tower top. The Bailomg Elevator, leaning Hundred Dragons Elevator, is at Zhangjiajie, China, built on the side of a steep cliff that rises to a height of 1070 feet, in the Wulingyuan area. At the top of the cliff, viewers can get an excellent view of the surrounding area, including the tall quartzite sandstone pillars that go up to 2600 feet. It is one of the most stunning of the remarkable and tall elevators in the world. See also; Top 10 Modern Engineering Marvels in the World. The CN Tower located in Toronto, Canada, is the world’s tallest tower. It redefines the Toronto skyline as a stiletto. Its elevator has a glass front, and it is capable of whisking the rider right to the observation platform in less than a minute, from where they can ascend another 33 floors, for three more look-out levels. But to enjoy the ultimate view, one needs another ticket to reach the Sky Pod. 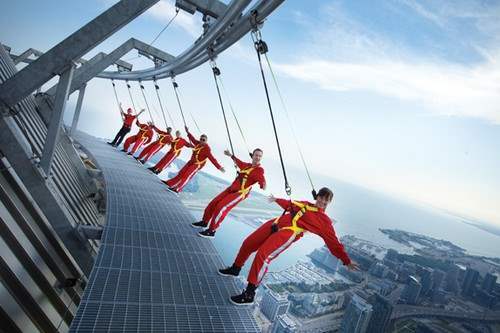 See also; The World’s 10 Most Amazing (and Scariest) Skywalks. 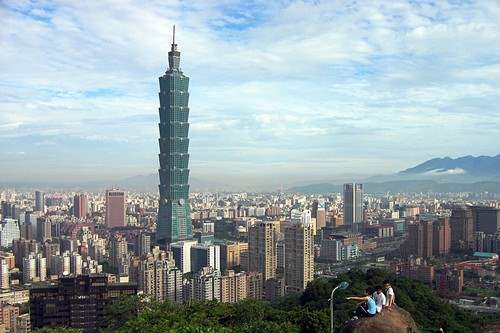 The Taipei 101 is one of the most well-known buildings in the world. It is located in Taiwan, and has a height of 1667 feet, with 67 elevators that help travel up and down the building. Two of the elevators lead to the observatory on the 89th floor. The remarkable and tall elevators have an incredible speed of 55.22 feet per sec, almost giving the sensation of travelling in a rocket. The Burj Khalifa, at about 2723 feet tall, is the world’s tallest building, and its elevators are also among the world’s fastest elevators, at a speed of 40 miles per hour, i.e. they are fast enough to reach the top in just about 35 sec. These double-decker elevators are the highest elevator installation in the world, inside a rod at the top, and the longest distance elevators at 1654 feet. See also; 10 Most Amazing Construction of the World. These elevators may not be all the tallest in the world, but, then again, they are not just one thing. They ascend some of the most stunning buildings great heights or natural elevations, at incredible speeds, and offer the most stunning views, making them truly remarkable and tall elevators in the world.